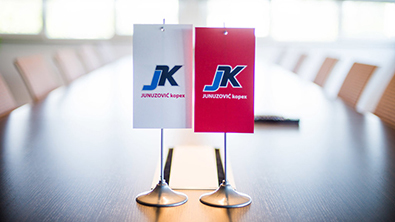 Junuzović Kopex currently employs more tan 112 employers who are training continuously and systematically to work in a modern business environment. Besides the employees who are in charge of work with the liquid fuels, mechanization and a mechanic, the company employs highly qualified drivers, economists, lawyers, mechanical, technological and informatics engineers. With a continuous improvement in business, our mission is to offer each customer the best value through the product quality and service and the satisfaction of shopping. We pay close attention to investment in development and progress of our employees as well as formation of successful teams that will enable us achieve our visions. "Teamwork devides the task and doubles the success." WANT TO MAKE A CONTACT WITH OUR COMPANY? CALL US!